A new type of the biopolymer on PLA basis was discovered which fulfils the market’s requirements. The raw material that we use is FIL-A-GEHR PLA HT®. 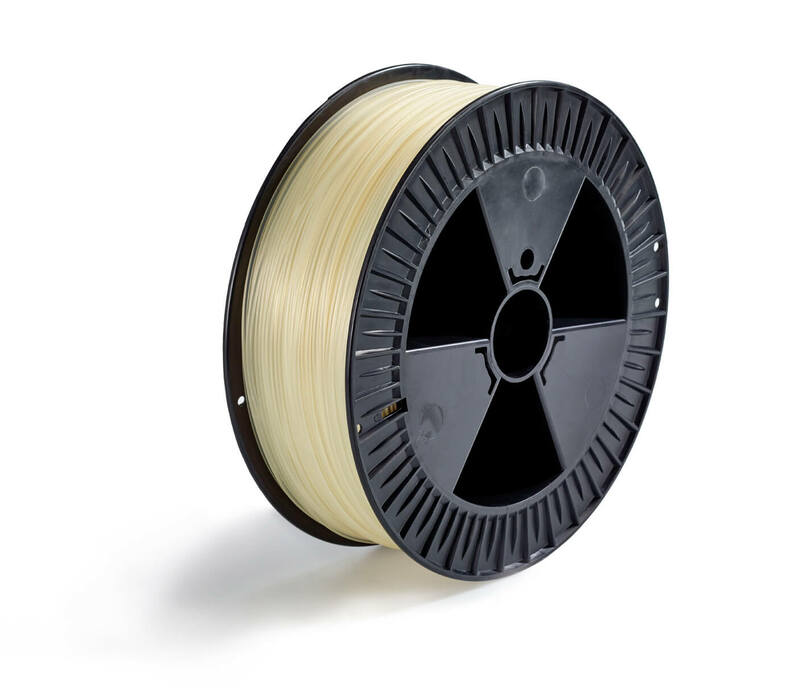 It has an increased thermal stability, which allows its use in temperatures 20 degrees higher than the temperatures used for standard PLA. In addition to that, it was possible to increase the material’s impact strength. Now, it is significantly better that that of ABS. This helped to considerably reduce the risk of broken weld lines on the printed components. The increased thermal stability also helps ensuring that the dimensional stability of the components after the cooling phase is very high. The optimised properties are matured in the subsequent annealing process after printing. FIL-A-GEHR PLA HT® can be processed without any difficulties. » FIL-A-GEHR PLA HT® is available on the coil as 1.75 mm and 2.8 mm wire.